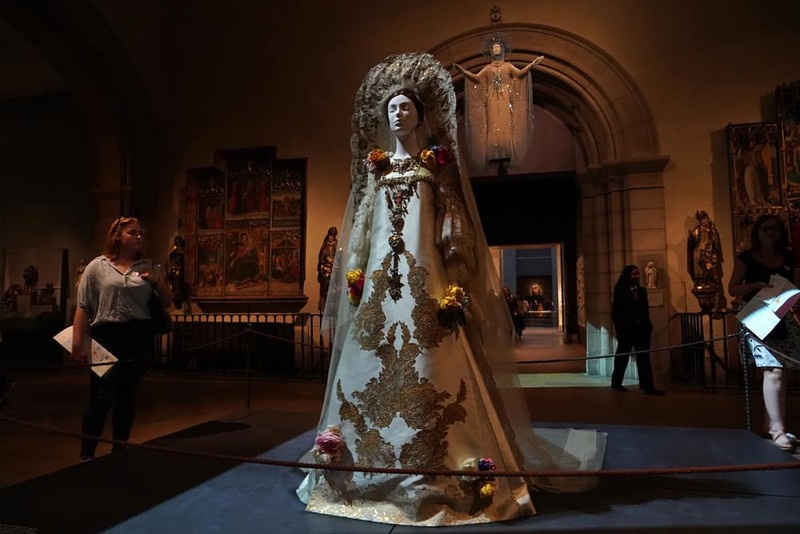 The Costume Institute’s latest blockbuster show Heavenly Bodies: Fashion and the Catholic Imagination has just clocked it’s one millionth visitor, making it the most popular Costume Institute show ever. 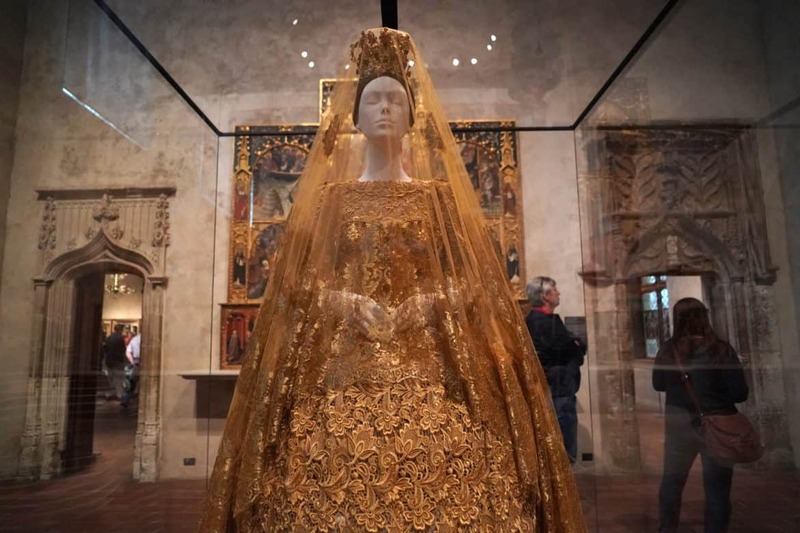 Overall, it is the Metropolitan Museum of Art’s third-most visited show, behind 1963’s Mona Lisa, and 1978’s Treasures of Tutankhamun, which hold the second and first spots on the list, respectively. 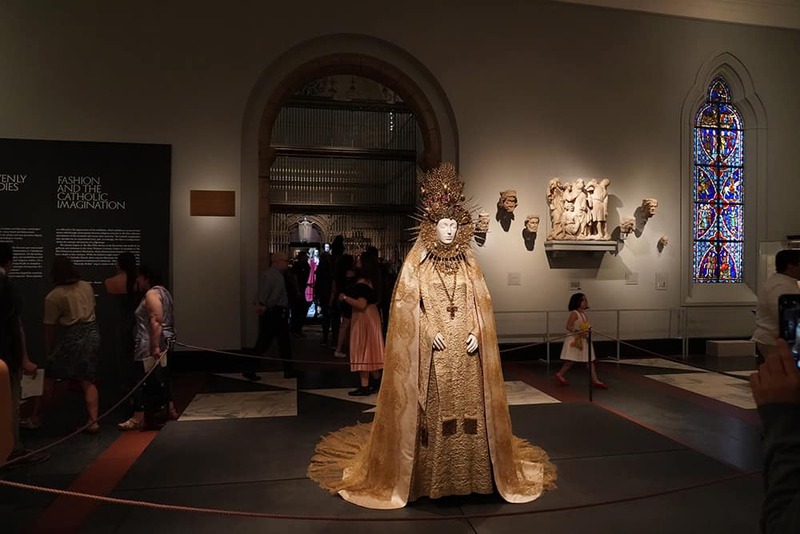 Part of Heavenly Bodies‘ big draw, outside of its sprawling size — it was also the largest exhibit the museum has ever mounted, extending to the Met Cloisters — was that it displayed Papal vestments, some of which have not been seen outside the Vatican. Essentially, the Pope’s clothes are always going to be a big draw, but to make the biggest-possible impact, add some Versace. To celebrate the occasion, the Met gifted the one millionth visitor with a signed copy of the exhibit catalogue. Anna Wintour and the Costume Institute’s curator-in-charge, Andrew Bolton, were on hand to present the book. If you were somehow among the few who have yet to see Heavenly Bodies, don’t fret. The exhibit runs through October 8.